What’s the Hottest New Idea for Parties Right Now? Let’s face it: Photo booths are instant fun machines. It’s virtually impossible to have a bad time when you’re snapping away goofy, glamorous photos with your friends. If you are throwing a party and you want to make sure your guests have a blast, a photo booth is a sure-fire way to go. You can pick a theme for props and watch your guests transform into anything from movie stars to mustachioed detectives! Guests will love crowding into the booth with their props or poses ready for the glam cam. Everyone will be brimming with excitement to see how the photo shoot turns out. Each of your guests will leave with an instant photo and a lasting memory. People will look back on your party with proof of how much fun they had. 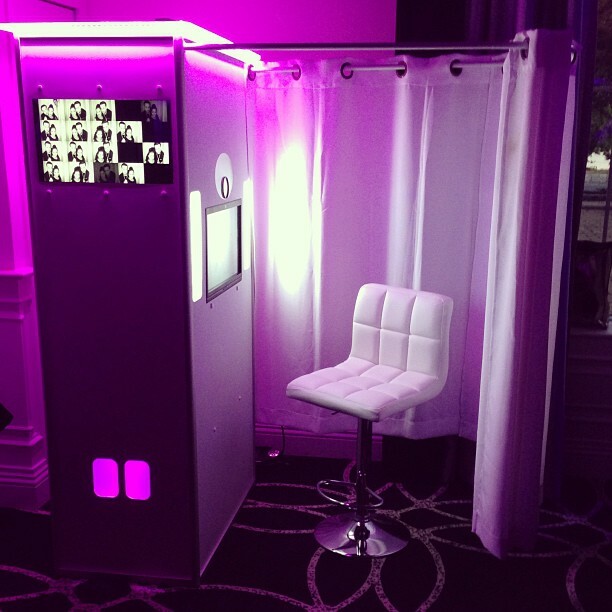 By having a photobooth at your party, you are giving your guests an experience to remember. Diamond Dan Productions Can Provide a Photo Booth for Your Event. Our portable photo booth takes great photos and prints them in a little as 15 seconds. It’s instant fun! At Diamond Dan Productions, we make sure your party is full of laughter and happy guests. For more than 25 years, we have been spicing up parties all across Central Illinois, including Peoria, Pekin, Washington, Morton, and beyond. We’ll help make your party the talk of the town. Get a Photo Booth for Your Next Party! Call Diamond Dan Productions to help capture the fun! Interested in making your big party even more memorable? See what other services we offer: Karaoke, Weddings, Uplighting, Ceremonies, Corporate Events, & Dances. Call us at 309-657-6264.